With 8 tracks to choose from, Baja has a track for everyone. 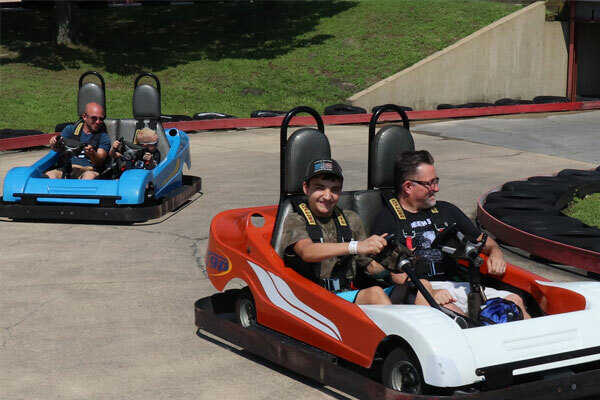 We offer 3 Family Tracks with single-seat and double-seat go-karts where the passenger rides free! We also have a rookie track just for kids 5-7 years old. Wanna Race? 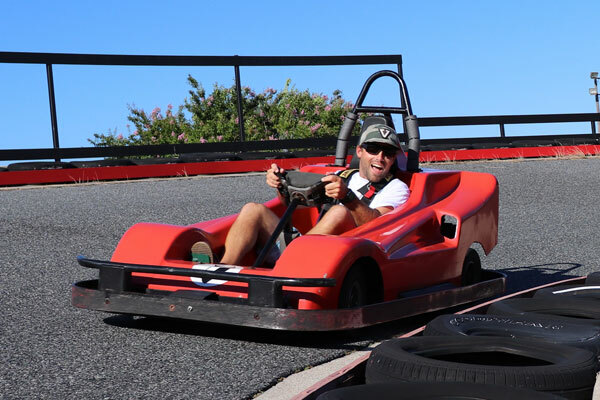 Baja features Slick Track: an oval track made for drifting, Bullit: a track perfect for racing with its tight turns and fast karts, Stock Car: the track for the race car driver in everyone, and Road Racer: our longest track at 3/8ths of a mile. 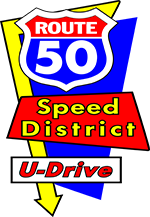 Looking for something faster? 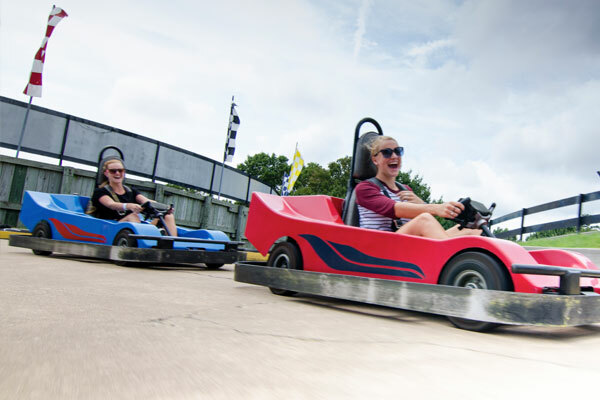 Choose the Road Racer Twin Engine go-karts (that's right... 2 engines in 1 kart). Both age and height requirements must be met. 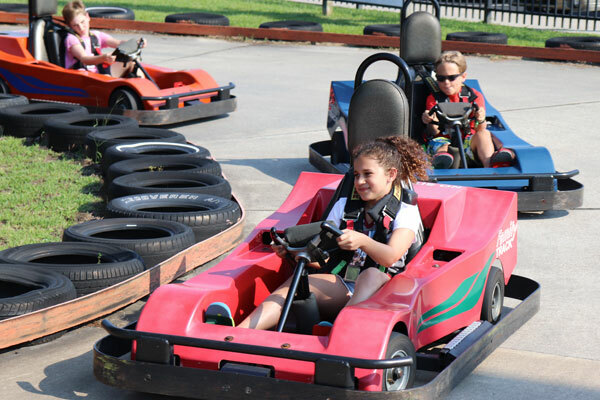 This track lets the young racers from 5yrs - 7yrs take their turn behind the wheel! A winding spiraling track for the whole family to enjoy! 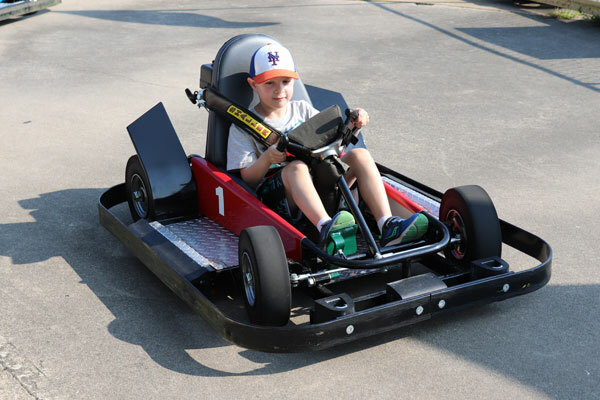 Single and double seater karts available. Double Seat Driver: Age: 12yrs Height: 56" Passenger Rides Free! A Gran Prix style track with hills, twists and turns. Single and double seater karts available. Double Seat Driver: Age: 12yrs Height: 56" Passenger Rides Free! Our most popular track, perfect for all ages. A great course with easy turns and a bridge to race over and under. Single and double seater karts available. Double Seat Driver: Age: 12 years Height 56" Passenger Rides Free! Ocean City's fastest 3/8ths mile track tests your racing skills with high banked turns and twisting corners. 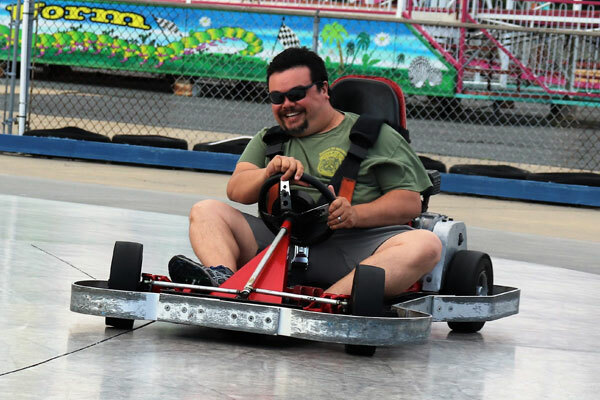 Your choice of single or twin engine karts for real speed. 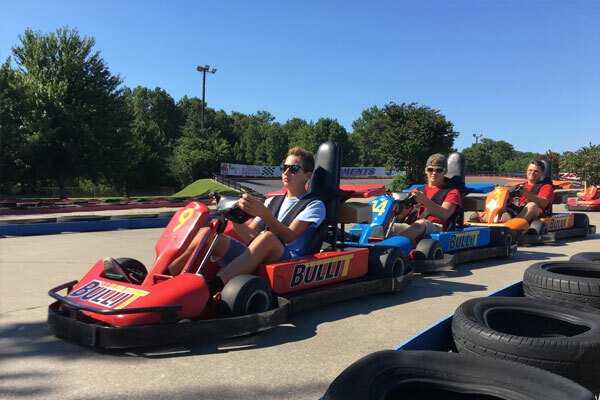 Twin Engine: Age: 14yrs+ Height: 58"
As fast as a bullet, this fast track has twisting tight turns for some serious racing for everyone 12 and older. Kids challenge your parents! Test your racing skills on this slick oval track. You'll want to be the first to the finish line on this extremely competivitve "Stock Car" track. A real racing experience!